Have you made her yet? If not then you TOTALLY should and share in some of the joy that she is bringing people the world over. The original recipe is here. I’d love to see your photos too if you have made her (you can use the hashtag #anne or on my Facebook page). 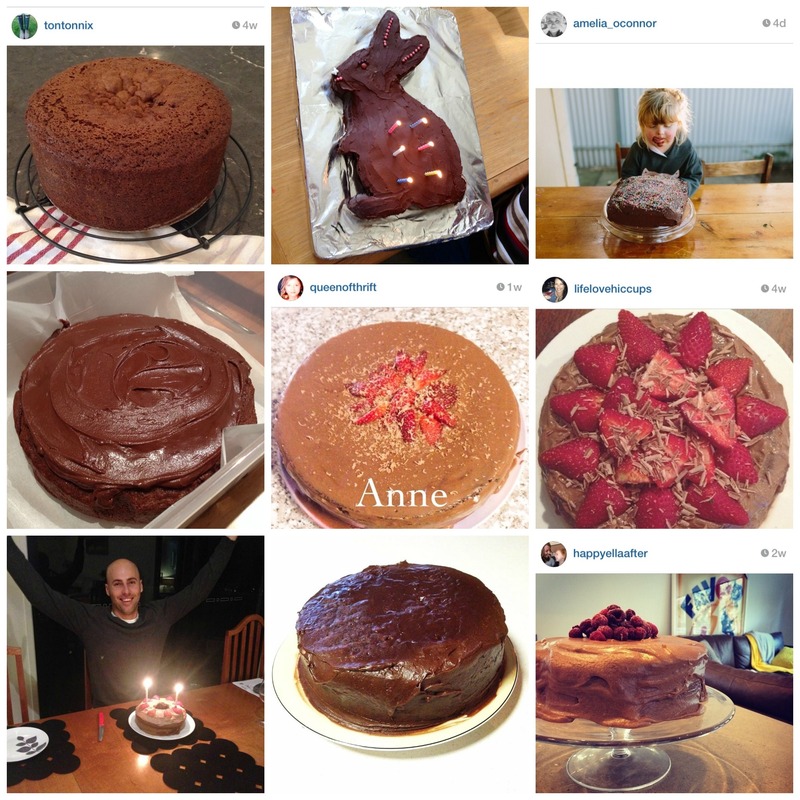 Do you think that Anne may just be the very best chocolate cake in the WORLD? I made Ann yesterday for my son’s 2nd bday, it was a hit!! Thank you for sharing your family recipe Beth. Yes! I made Anne & she was delicious. My non chocolate eating husband (I know! He’s crazy!) was envious so I made him a chocolateless Anne. He loved it! How was she without her chocolate frock on? Good still I hope! She was still very good! I’ve just made it today for my mum’s birthday. We’re minutes away from cutting into it! Horray! Can’t wait! Would love to try this with my 7 year old who loves cooking.. but confused by the icing instructions as I’m in the UK and don’t know what “icing mixture” is, unless it’s a typo for icing sugar? Sorry Lydia…it’s something that we have here that is just a version of icing sugar that is a little softer (I think it has some corn flower mixed in with it). Ah thanks I did it with straight icing sugar, it is very sweet and fudgy. The cake isn’t as chocolatey as I was expecting, will add more cocoa next time I think. Loved the simplicity though very child friendly! I have just posted a pic of my Anne on instagram and used the hash tag #Anne. I made Anne for my son’s second birthday. It was a huge success! Thanks for sharing your fabulous recipe! I think I need to be making myself an #Anne. I CANNOT WAIT TO MAKE AN ANNE. Go Anne – world famous! I might have to make her for my son’s birthday! I must say I’ve been seeing Anne EVERYWHERE and curiosity led me to your blog! I’m hoping Anne might be a suitable Father’s Day sweet after lunch treat? I’m sure she will be JUST the thing…enjoy! Do you think Anne could be made into cupcake-sized Annes? Im dying to try this but the birthday girl wants cupcakes! Conundrum! She sure can be – they are called Annettes!